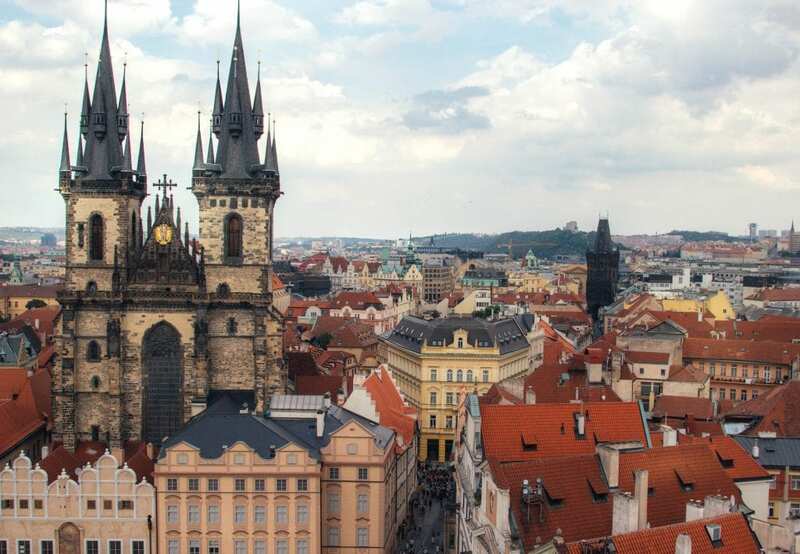 [vc_row][vc_column][vc_column_text]Prague is one of the most beautiful cities in the world, and it looks good from just about every angle. During my days here, I’ve been on a quest to find the best views and photo spots in the city, and it’s been a great way to get a lay of the land. 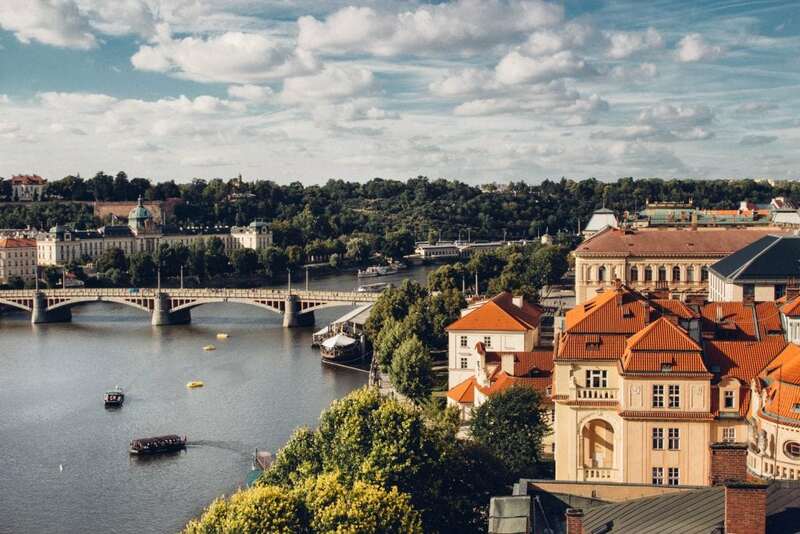 There are so many incredible vantage points to be found, each one with a totally different perspective; keep reading to discover where to go in Prague for the best views! 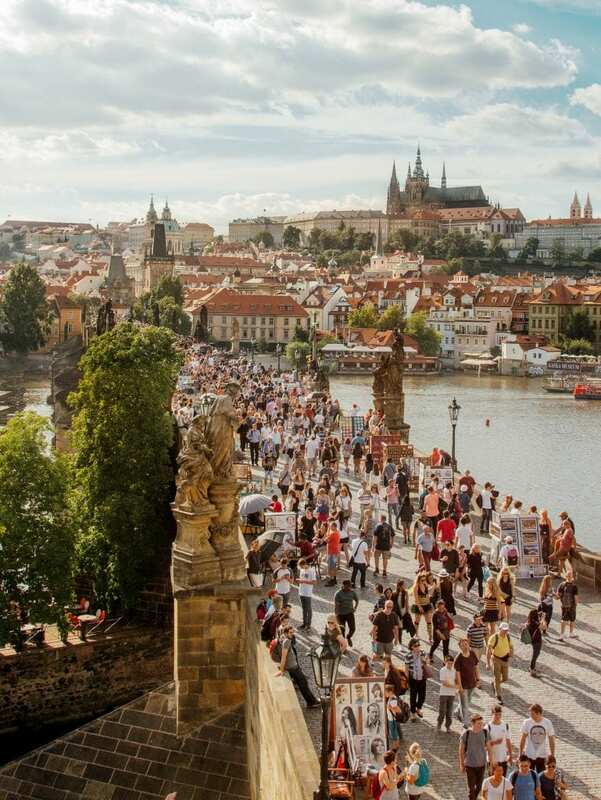 At just about any given time of day (except sunrise 😉 ), there are 1000’s of people making their way across the famous Charles Bridge. Little do most of them know, one of the best viewpoints in the city is just above where they’re standing, on top of the Old Town Bridge Tower. 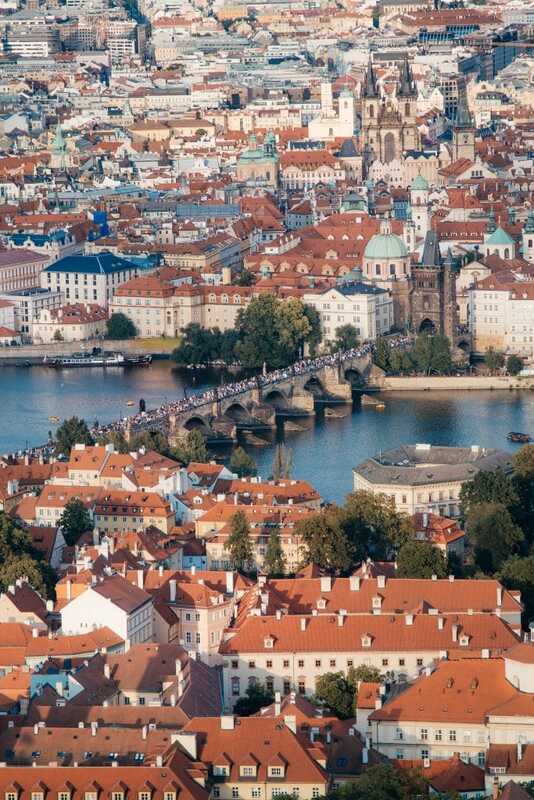 The tower is located on the eastern end of the Charles Bridge… 138 steps up to the top. The views from above are one of my favorites in the entire city and the best part is, it’s not very well known (yet?). When we visited, we were only 2 of 4 people on the tower. It was so peaceful up away from the chaos of the crowds. 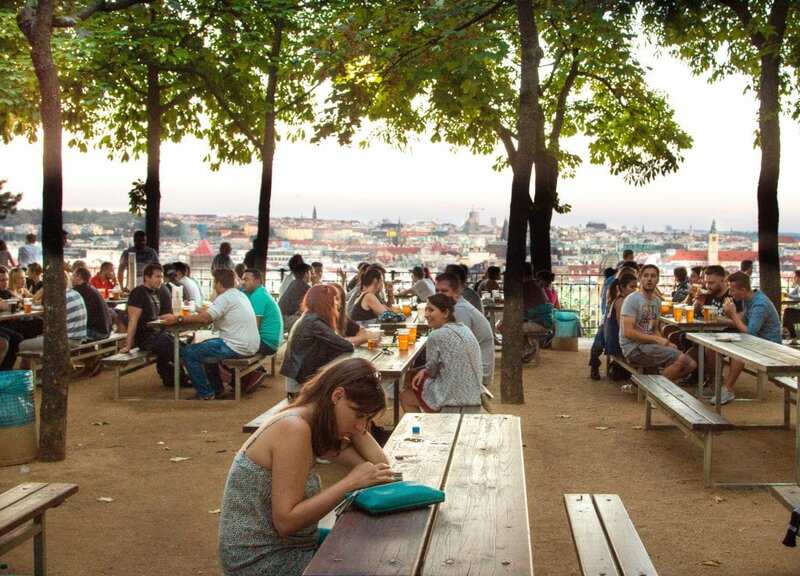 Letna Beer Garden is not only one of our favorite beer gardens ever… but it’s also one of the best views of Prague. 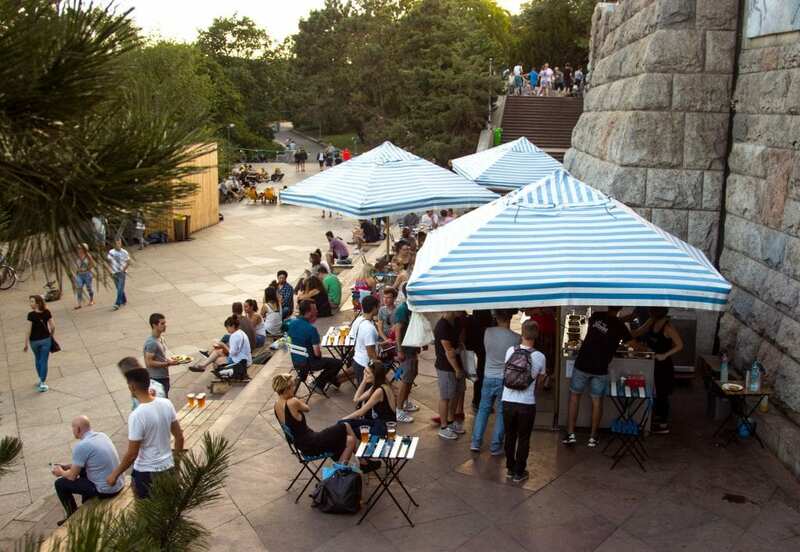 Grab yourself a beer, sit down at one of many wooden benches to take in the city. We loved heading up here just before sunset each afternoon to watch the sun go down. 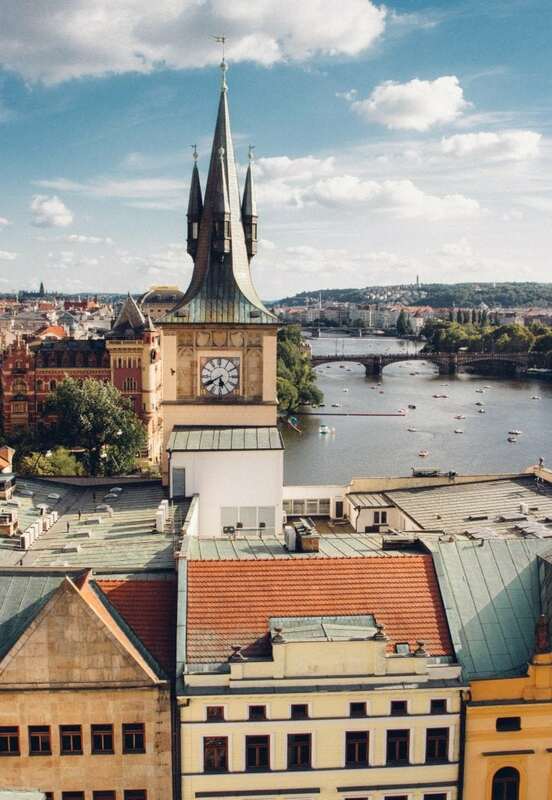 The Old Town Hall Tower is one home to one of the most popular views in the city, so be prepared to wait, and know that you might have to elbow your way through for a photo or two. 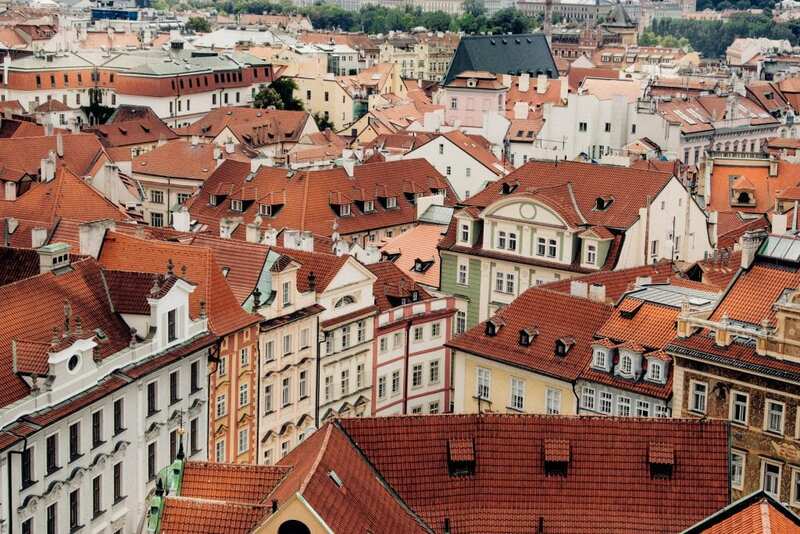 From the top of the tower, you’ll get a 360 degree view of Prague that is actually worth the hassle. 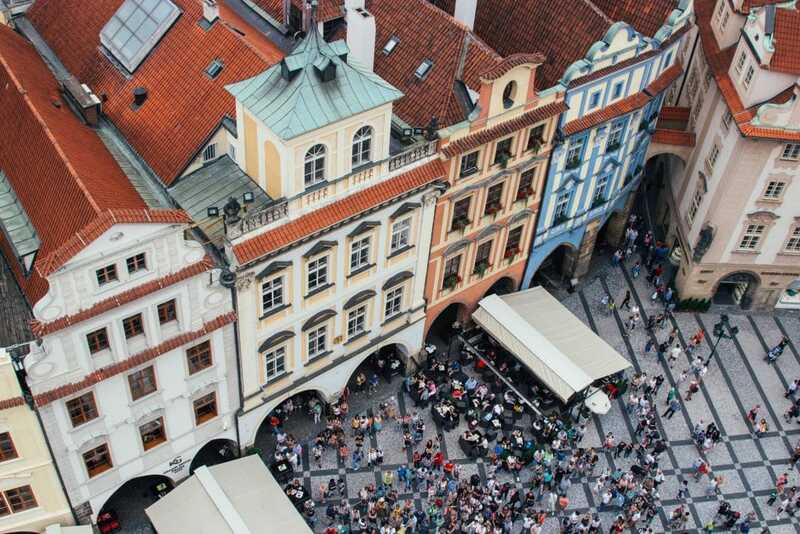 BUY ONLINE TO SAVE $ If you buy your ticket online it costs 110czk (as opposed to 130czk) and you can skip the line! To buy tickets online visit the official site here. 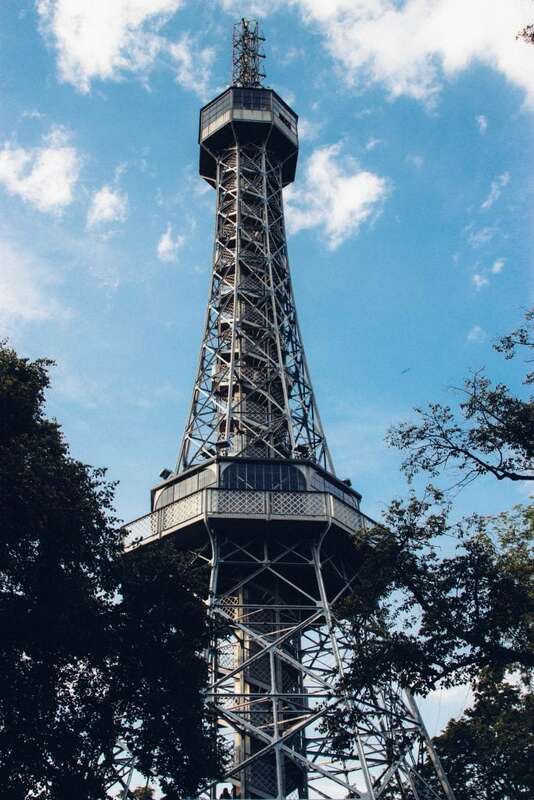 Located on Petrin Hill, the 197 ft (60m) tall Observation Tower will give you one of the highest vantage points in the city. It’s a bit of a trek outside of Stare Mestro (Old Town) but the views are well worth the journey. 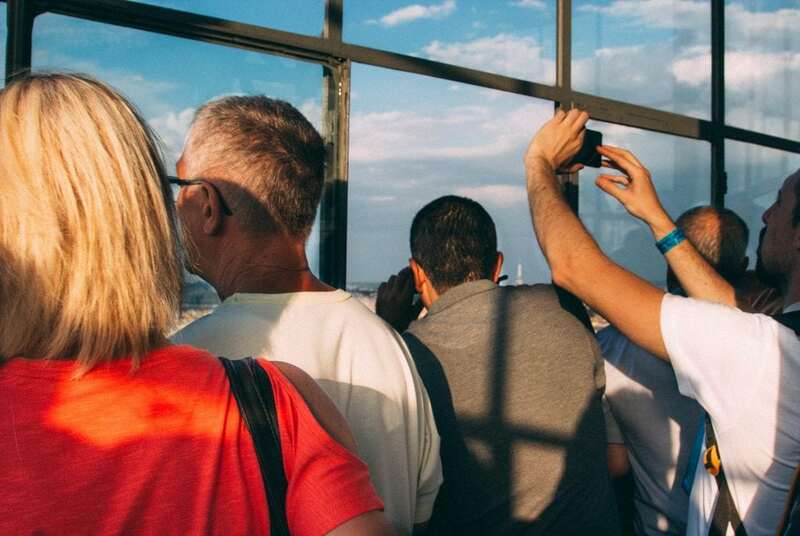 The Observation Tower isn’t as crowded as the Old Town Hall Tower but they do pack people in pretty tight at the top. The tower also sways a little, so it might not great for those scared of heights. 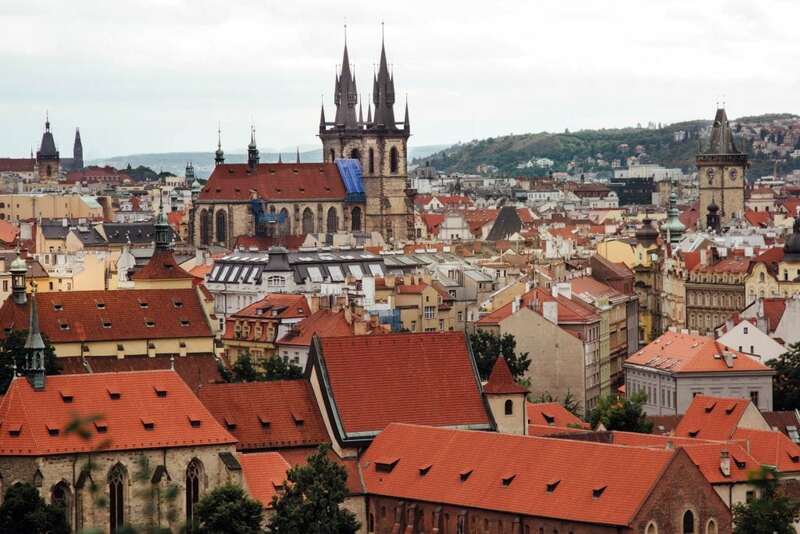 It’s a 299 step climb the top, or you can pay an extra 60czk ($2.5) to take the elevator. 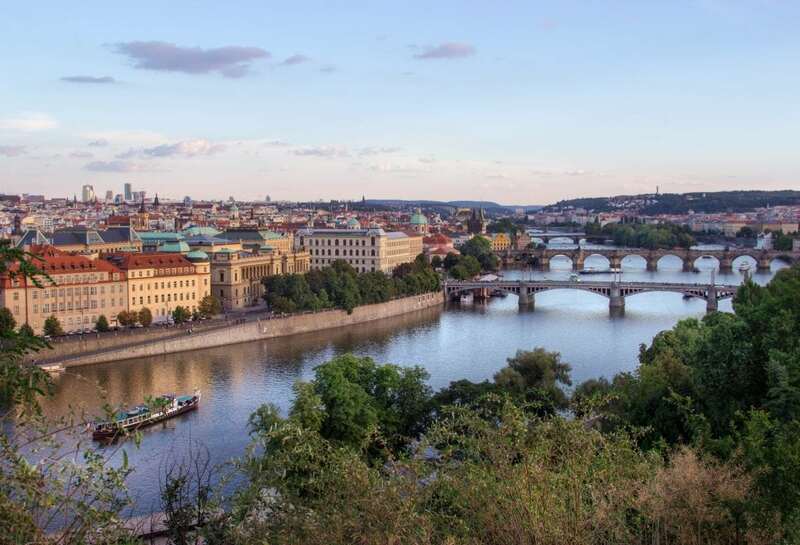 When planning where to go in Prague, arrange your trip to the Observation Tower in conjunction with a visit the nearby monastery. Even better, next to the monastery is The Strahov Monastic Brewery, whose beers are brewed by monks! 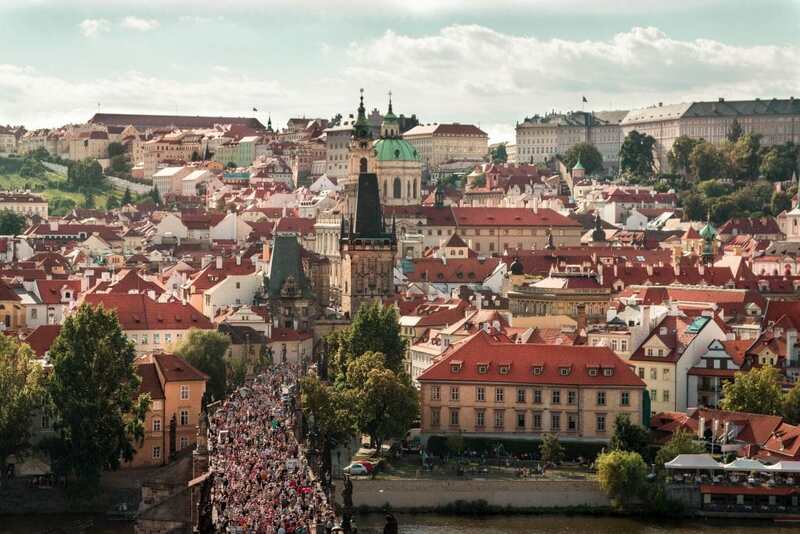 If you’re hungry, there’s also a Czech restaurant called Peklo nearby. We didn’t eat, but had a few monk brewed beers and we loved the atmosphere. To get to the observation tower, take the tram stop to Ujezd (trams 12, 20, 22) and ride the funicular railway up the hill. 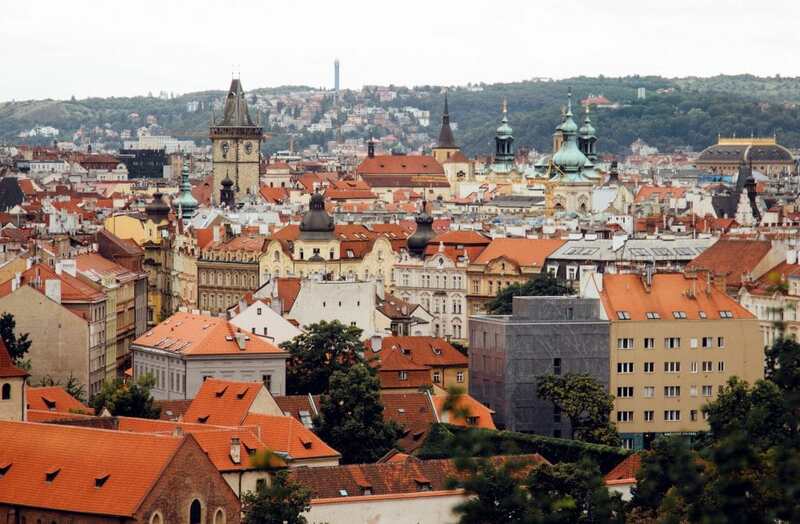 The railway is part of Prague’s public transportation network and you can use your same tram ticket. We came across the Karlovy Lazne viewpoint by chance while getting off the tram, and fell in love with this angle of the Charles Bridge. Visit day and night to get two completely different photos. Tram Stop: Karlovy Lazne (trams 17, 18). 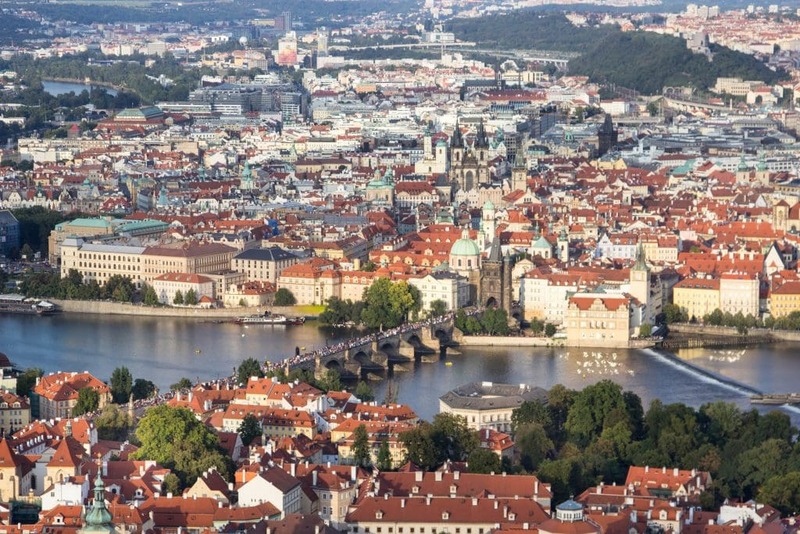 Or, it’s just 2 minute walk from Charles Bridge. 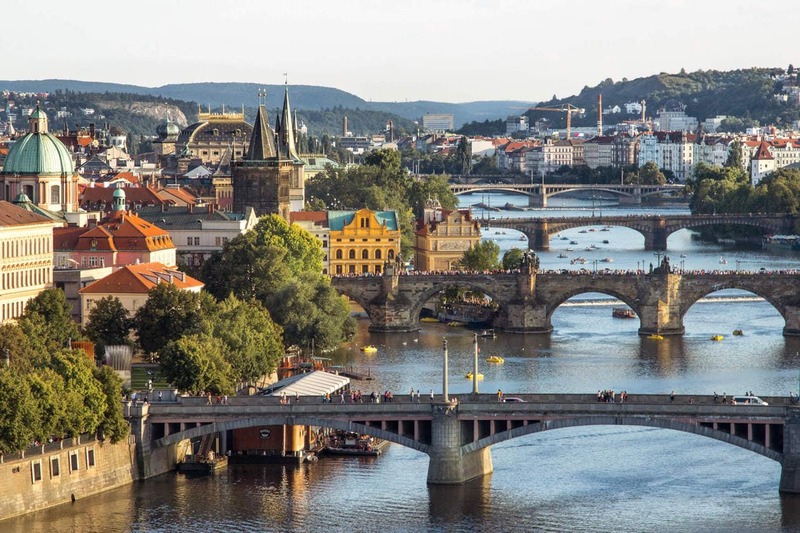 The incredible view of the bridges (that you’ll see on every postcard) is located in Letenske Sady. This was the hardest spot for me to find, but I wasn’t leaving the city until I did. Turns out it was in Letna Park, where we spent just about every afternoon. Very close to this lookout is the Metronome which offers another great (and similar) view. While we were here, Prague’s Pride afterparty was happening so they had a DJ, food stands and dancing. I’m not sure if this is a regular occurrence, but it made the atmosphere really fun. Letna Beer Garden is also a short walk from the metronome so you can combine all three of these viewpoints very easily. From the city center, walk across the Manesuv Most bridge and you will see a concrete staircase. Take the stairs all the way up (there are a lot), and turn left. After 1-2 minutes of walking you’ll see the view. Did I miss anything? 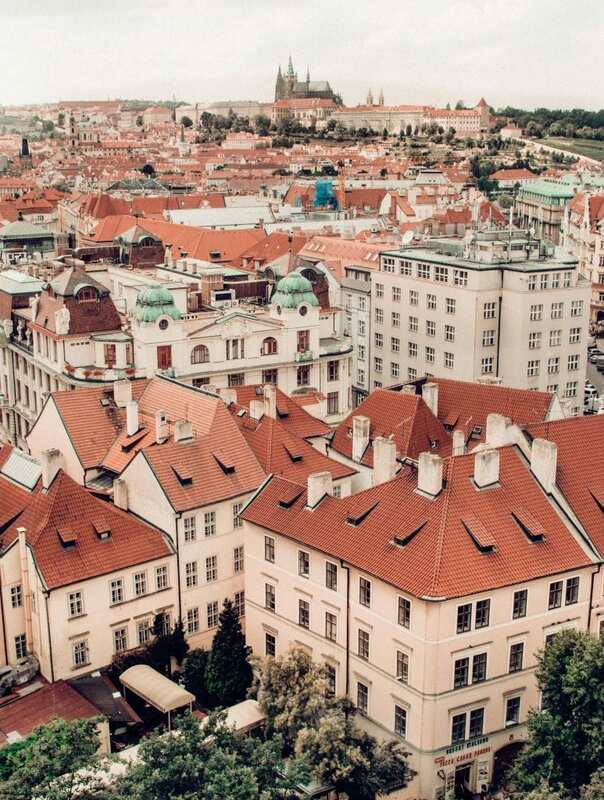 Send me your recommendations for where to go in Prague to find the best views. Loved Prague! 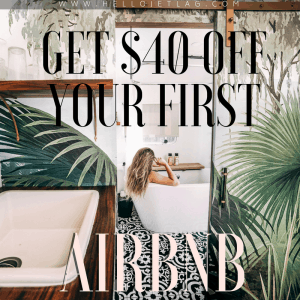 This is a great post, clearly I’ll have to go again to check out these viewpoints! Best post I found on Pinterest. Thanks for sharing exactly how to get to each place!